Portugal is probably best known for port or madeira. But it also produces some fine red blends and vinho verde. Tonight I bring you one of the finest. 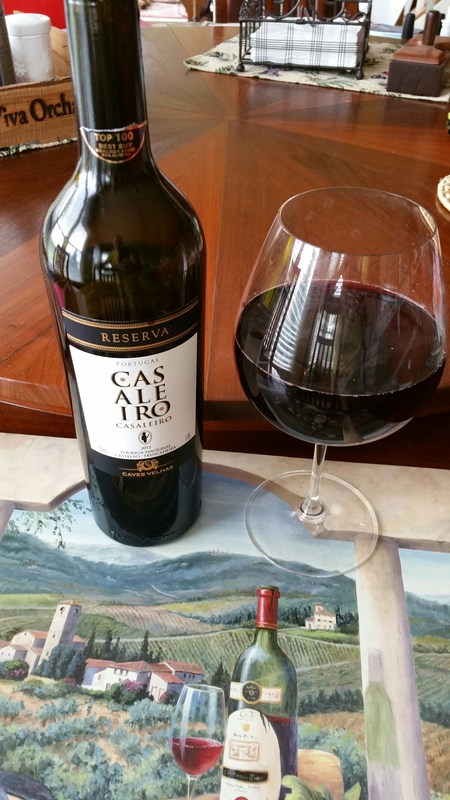 Casaleiro Reserva from the Tejo region, formally known as Ribatejo. The region is best known for its whites, but the reds are proving to be award winners. This wine is a blend of Touriga-Nacional, Castelao and Trincadeira. A 90 point Wine Enthusiast rated and top 100 best buy. Deep dark garnet color. An aroma of ripe dark red fruits. A soothing taste offering depth and appeal to just about every wine lover. Delicious ripe fruit coats every inch of your mouth. A long luxurious finish filled with rich fruit flavors and soft elegant tannins. I pulled this wine off the shelf not ever having it before. I can say that I was extremely pleased. Definitely will have again. 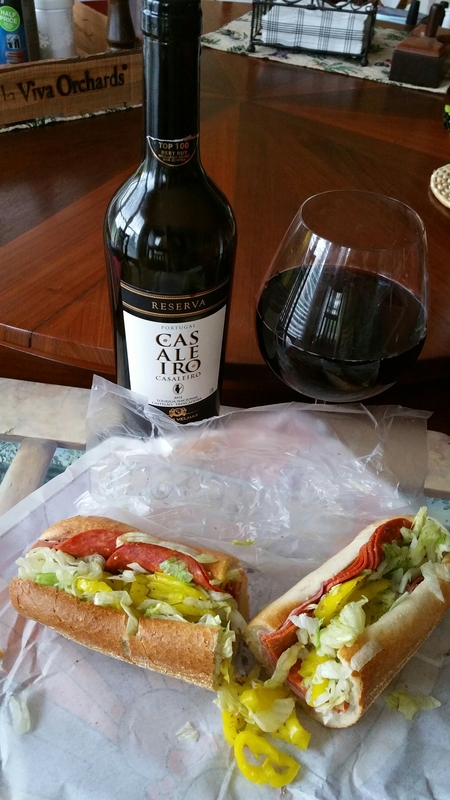 Oh and it went very well with my Italian hoagie.